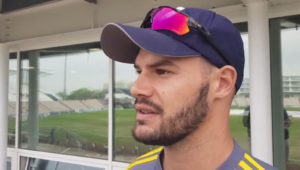 Many were excited to see the star of the Youth Tri-Series final, SA U19 all-rounder Jason Niemand, but he failed to impress, posting scores of 19 and 0. He was part of an eight-wicket first-innings collapse which saw Border stranded on 52-8. Niemand’s 19 was his side’s top score, until a magnificent nine-wicket partnership of 55 runs between Akhona Mnyaka and Sebastian Denison-Brown, the SA U19 speedster showing true grit with the bat to finish 42 not out as his side plummeted to 111 all out in their first innings. 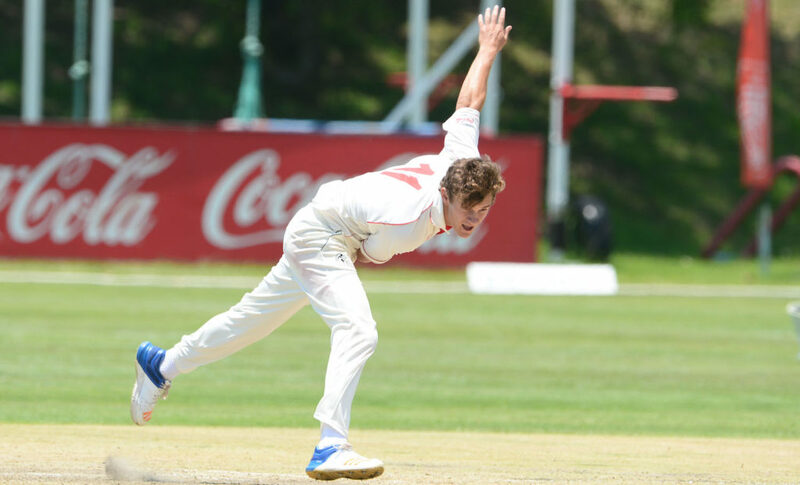 It was a complete bowling display by the Northerns bowling attack, with all seven bowlers taking a scalp, Gideon Peters and Christopher Britz the only bowlers taking two. Peters took the first and fourth scalp to finish with figures of 2-31, while Britz captured 2-2 to take the last two wickets. Northerns were on track with their first innings chase despite losing their top four for 70 runs, Denison-Brown taking three while Mnyaka took one, backing up their batting performances. Northerns managed to surpass Border’s first innings total to post 144 thanks to a Britz half-century, but he failed to extend his side’s advantage further when he was run out for their final scalp on 51. In their second innings, Border folded to an exquisite performance from Peters who took four wickets and a run out to wrap up a win for his side. Border lost all five wickets for eight runs as Northerns won by an innings and 24 runs.